Theme: Easy as 1, 2, 3, 4? Author/Opus: This is the 42nd puzzle from our contributing puzzlemaster Palmer Mebane. Rules: Variation of Skyscrapers. 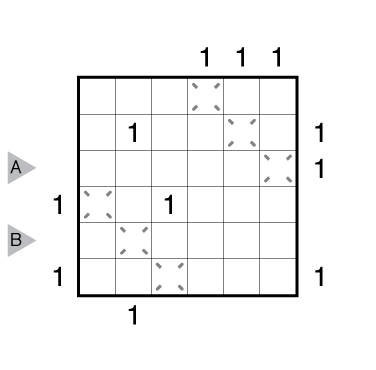 Insert a digit from 1 to 4 or a diagonal mirror into each empty cell so that each row and column has one copy of each digit and exactly one mirror. 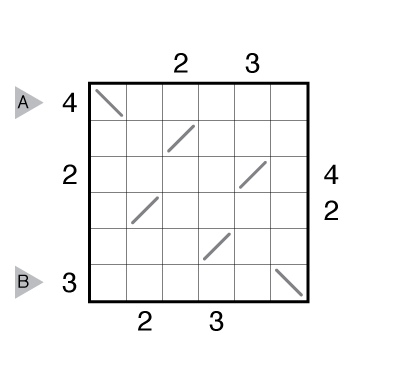 Each digit in the grid represents the height of a building, and clues on the outside of the grid indicate how many buildings can be “seen” when looking from that direction, including those seen through the mirror’s reflection. Buildings block the view of any building with equal or lower height behind them. Answer String: Enter the 3rd row from left to right, followed by a comma, followed by the 4th row from left to right. Use the slash characters / or \ to enter the mirrors. Author/Opus: This is the 41st puzzle from our contributing puzzlemaster Palmer Mebane. Rules: Variation of Skyscrapers. Insert a digit from 1 to 4 into each empty cell so that each row and column has one copy of each digit and exactly one mirror. The direction of the mirrors must also be determined. 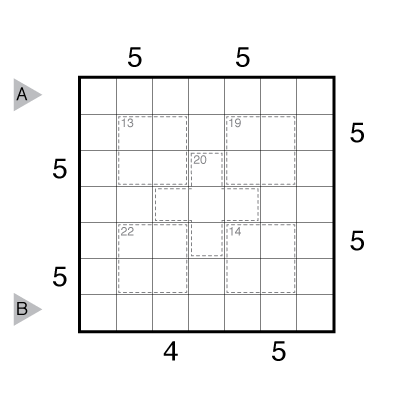 Each digit in the grid represents the height of a building, and clues on the outside of the grid indicate how many buildings can be “seen” when looking from that direction, including those seen through the mirror’s reflection. Buildings block the view of any building with equal or lower height behind them. Answer String: Enter the 1st row from left to right, followed by a comma, followed by the 2nd row from left to right. Use the slash characters / or \ to enter the mirrors. 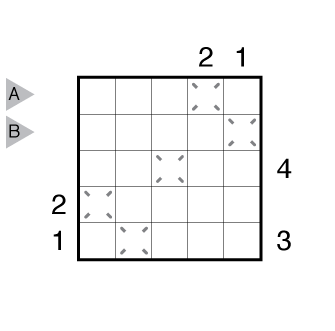 Author/Opus: This is the 40th puzzle from our contributing puzzlemaster Palmer Mebane. Rules: Variation of Skyscrapers. Insert a digit from 1 to 4 into each empty cell so that each row and column has one copy of each digit and exactly one mirror. 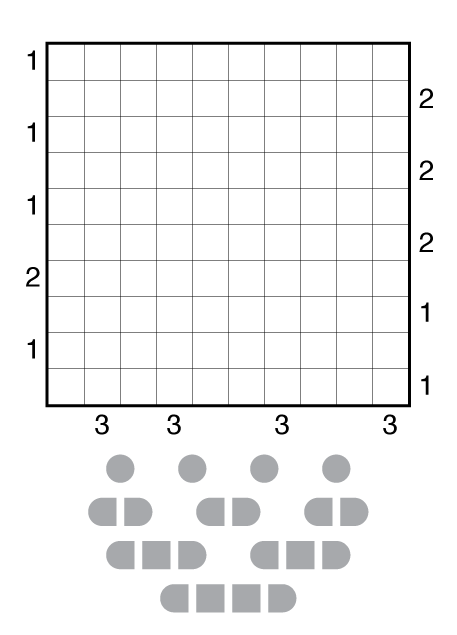 Each digit in the grid represents the height of a building, and clues on the outside of the grid indicate how many buildings can be “seen” when looking from that direction, including those seen through the mirror’s reflection. Buildings block the view of any building with equal or lower height behind them. 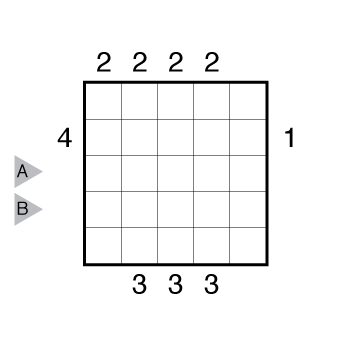 Answer String: Enter the 3rd row from left to right, followed by a comma, followed by the 4th row from left to right. 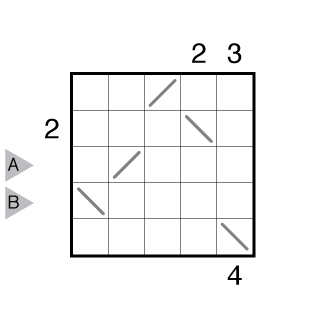 Ignore the cells with the mirrors when entering the solution (i.e., just enter cells with digits 1-4).